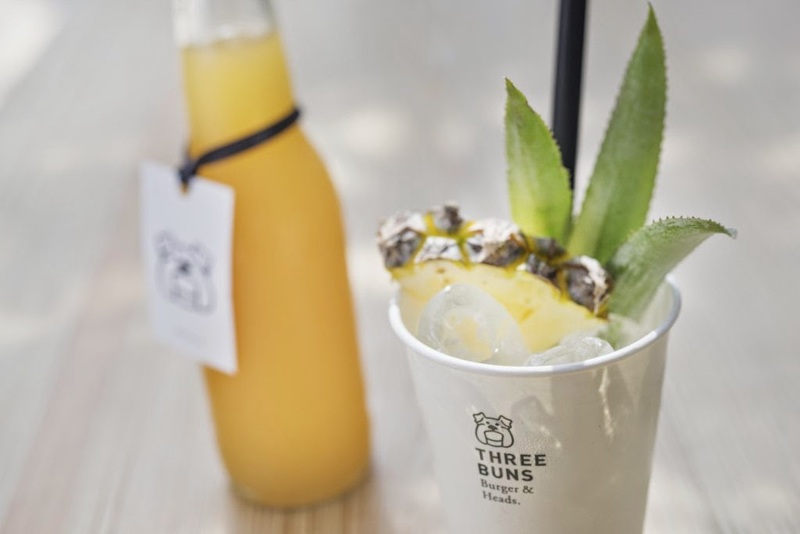 PTT Family, the hospitality and entertainment group celebrated for the internationally acclaimed ‘Potato Head Beach Club’ in Bali and ‘Potato Head’ and ‘Potato Head Garage’ restaurants in the capital are proud to announce the April opening of ‘Three Buns’. 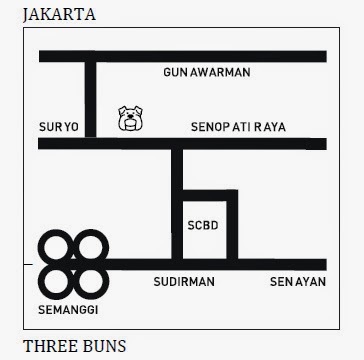 Created by PTT Family’s CEO Ronald Akili and Creative Director Jason Gunawan, Three Buns is a new concept for the city. 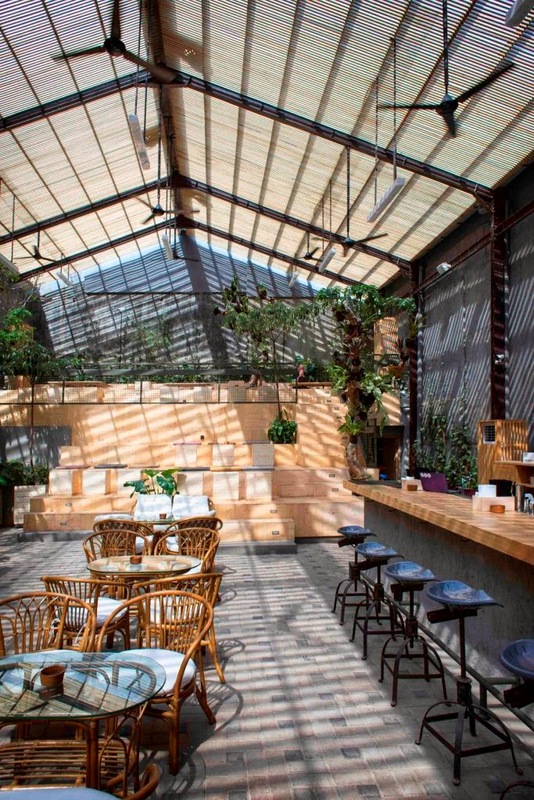 Situated in Senopati, Three Buns is an organic community space open to all and serving a menu of gourmet burgers and cocktails and accompaniments of a quality and design as yet unseen in Indonesia. 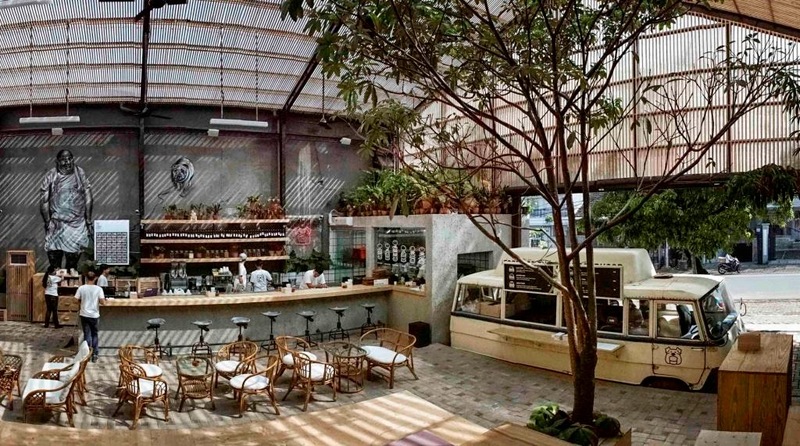 With a design that brings to mind a greenhouse, Three Buns is open, airy and filled with plants, creating an oasis in central Jakarta, an unexpected respite from the hustle and bustle of the city. 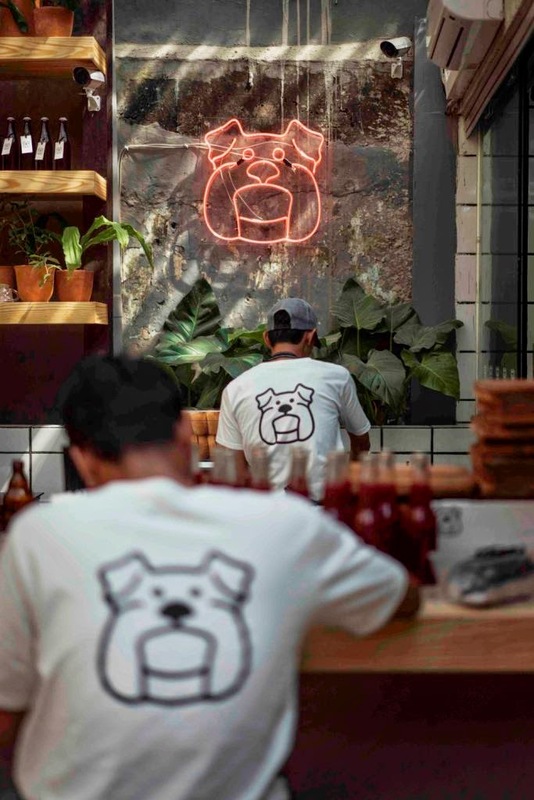 Located in Senopati in Central Jakarta the design of Three Buns adheres to PTT Family’s ethos of creating spaces that are innovative and in tune with their surroundings, as well as the unpretentious and communal feel the philosophy of the restaurant demands. 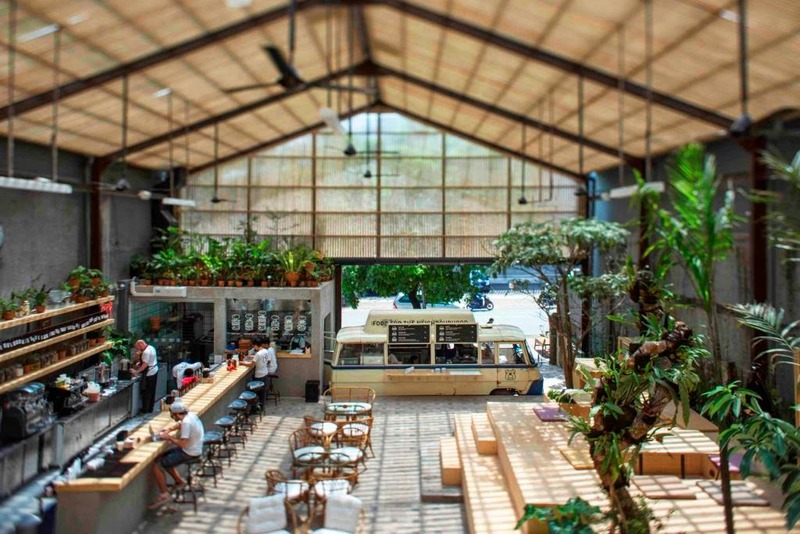 Designed to be as open and welcoming as possible the restaurant has an open kitchen and tiered wooden communal seating. 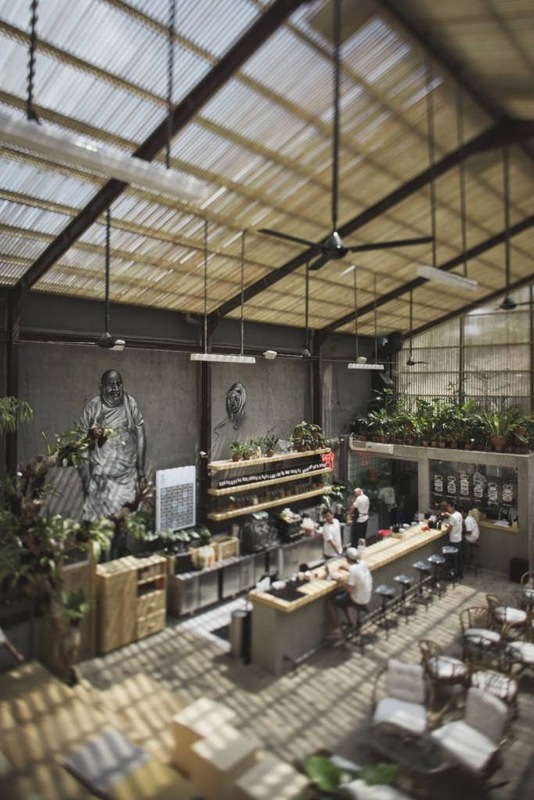 Partially al fresco, the restaurant and bar bring a true sense of nature and the outdoors to the city, while remaining comfortable throughout the day with air conditioning. 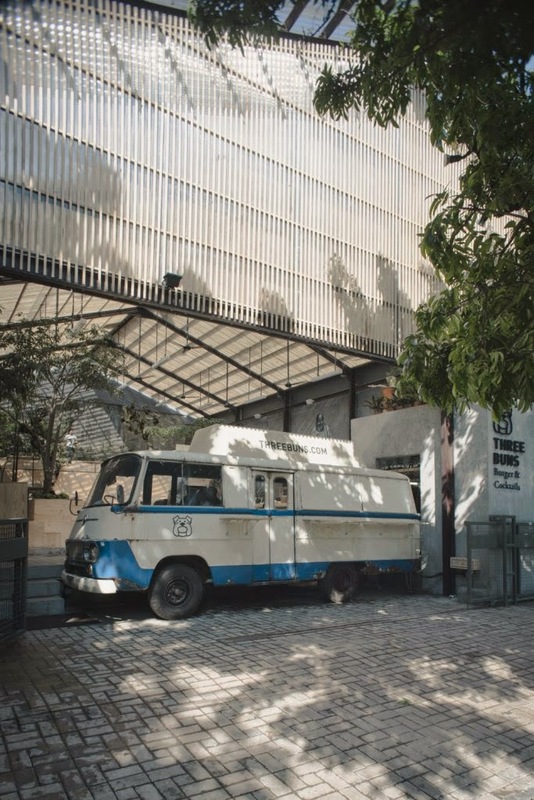 A vintage re-conditioned Camper Van is situated within the space and serves as the order station for customers, a playful feature sure to remind patrons of the Group’s reputation for inventive and original architecture and interiors. 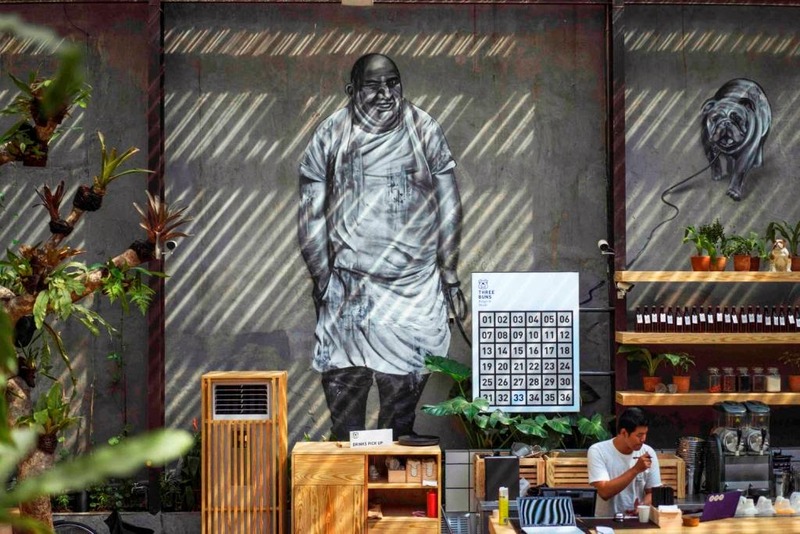 With extensive plans to support the local creative community in the music, art, design and fashion worlds the restaurant is determined to make a positive impact on its environment. 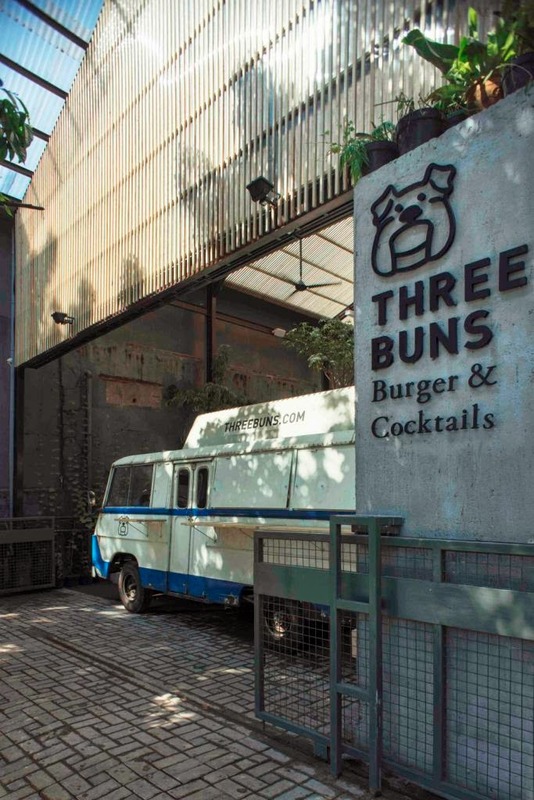 This philosophy, the space’s unique design and what will quite simply are the best burgers in town means that Three Buns looks set to be a significant and notable addition to Jakarta’s diverse and thriving dining scene. 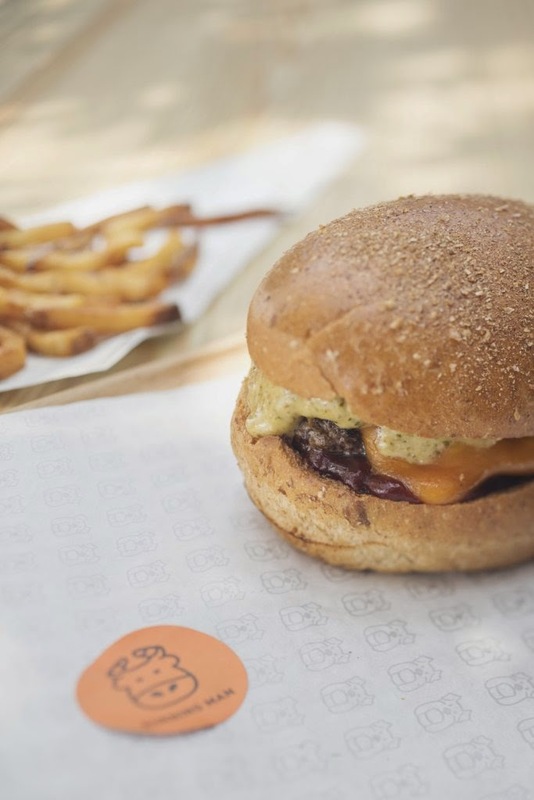 The origin of Three Buns’ menu and the secret recipe for the restaurant’s unrivalled burgers lies with Chef Adam Penney, brought from London specifically for the creation of Three Buns. A veteran of some of the UK’s finest restaurant kitchens, Adam was previously behind the enormous critical success of London’s ‘Patty & Bun’–a burger restaurant described by Time Out as having “a reputation for London’s finest burgers” and the “burger supremo.” His cooking marries his rigorous classical training with a deep passion for simple and honest food with hard hitting flavours. So every meal here will be awesome ! 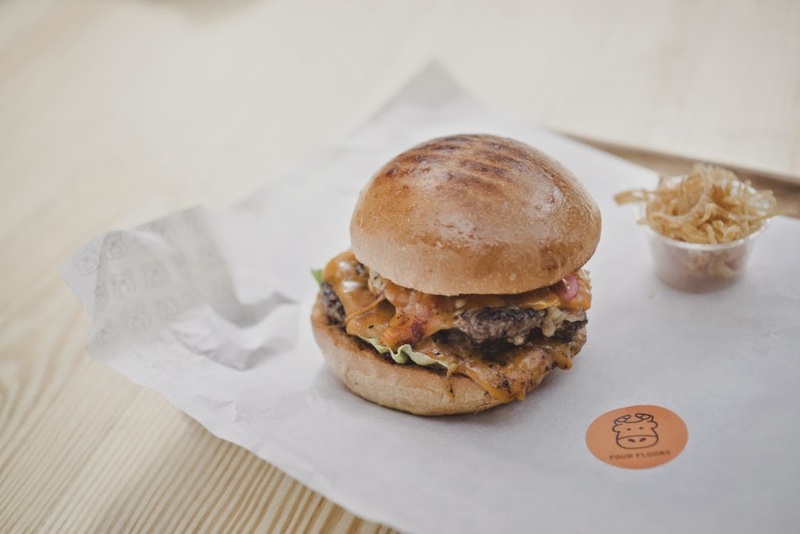 Every burger here is 100% natural, using finest Australian Brahman beef, bespoke artisan buns & homemade slow cooked sauce. 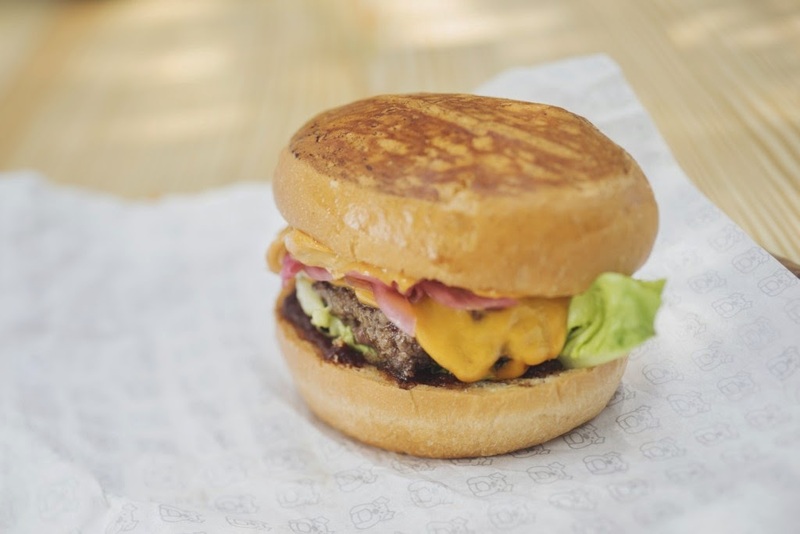 We can say this one as the original burger's from Three Buns, prime 150 grams beef patty, cheese, lettuce, ketchup, pickles and spiced mayo, IT'S A CLASSIC CHEESE BURGER man ! But taste BOMB !! I really like this burger, the beef was perfect and every component was blended and become one satisfaction. If you like hot and spicy flavours you should love this burger ! Prime 150 grams beef patty with cheese, roasted jalapeno relish, hot ketchup and dashi mayo, jalapeno usually used in Mexican dish and dashi often used in Japanese food, so it's kinda fusion burger but.... IT WORKS ! I really love this burger, unique, tasty and just addictive to me ! Double prime 100 grams beef patties, yes so it's a delicious burger with 200 grams of beef patties !!! geez ! Not just doubled the patties, they also doubled the cheese ! Triple onions, lettuce, pickles, ketchup and den miso mayo. Three Buns has different some different mayo, so every burger will have different sensation and that's really good. 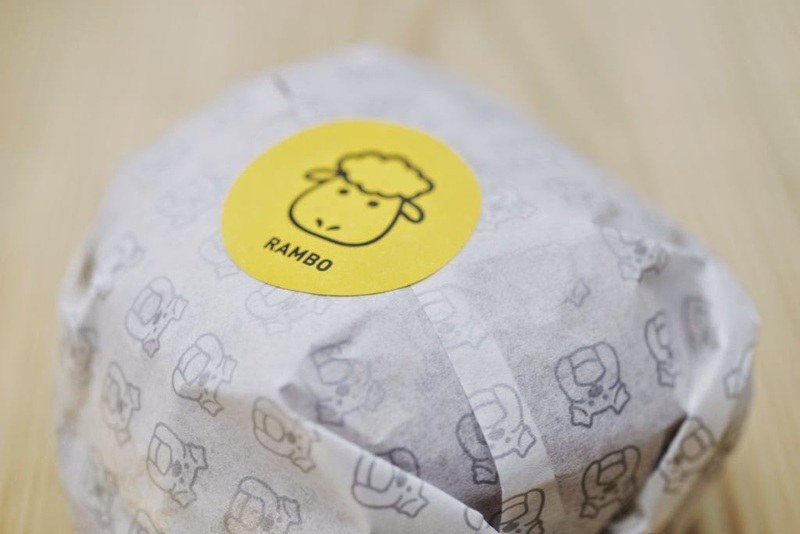 This burger is quite different, because using lamb patty instead of beef. Superior 150 grams lamb patty, feta cheese, green chilli, and eggplant pickle. Taste a little different with another, but still great ! The character of this burger was special, because of the lamb patty, I just can't explain how delicious is it, you have to try yourself. 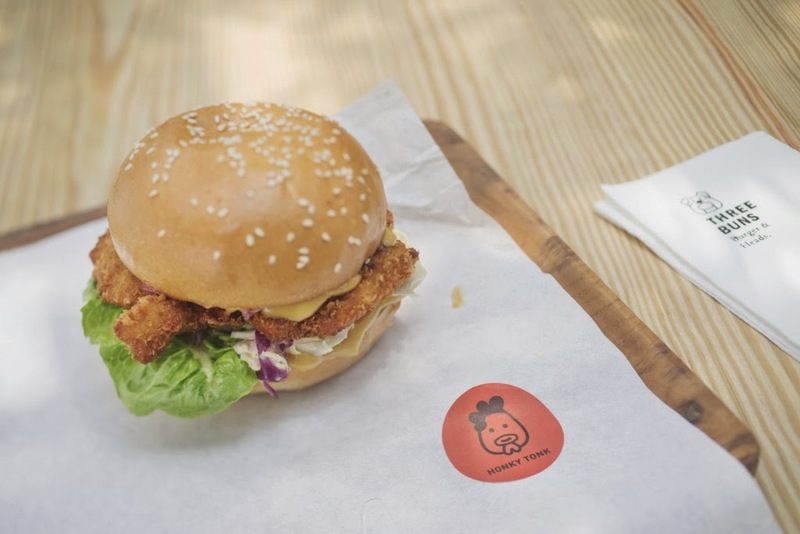 Soya milk fried chicken, coleslaw, lettuce, hot sauce & den miso mayo. Soya milk fried chicken sounds interesting hmmm so the chicken was marinated in soya milk and then deep-fried, actually the taste was just like usual fried chicken but there's some milky experience when you eat the fried chicken separately, but when you enjoy the chicken with another ingredients, they've blended and taste awesome ! 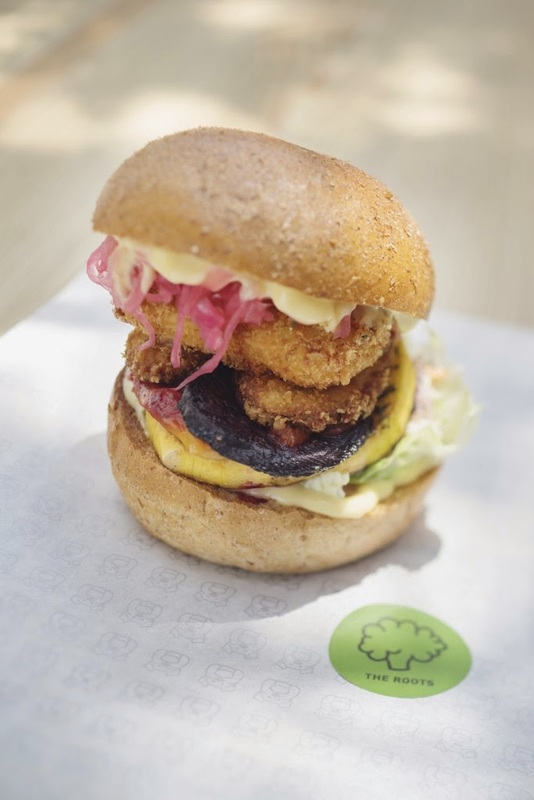 Seasonal vegetables, cheese fritter, coleslaw, lettuce, pickles, hot sauce & mayo.Totally suit for you who want to eat burger with less fat :p yes because it's a veggie one !! But trust me, they still great ! You won't be aware if there's no meat at all, because just same as the meat burger. Delicious !! 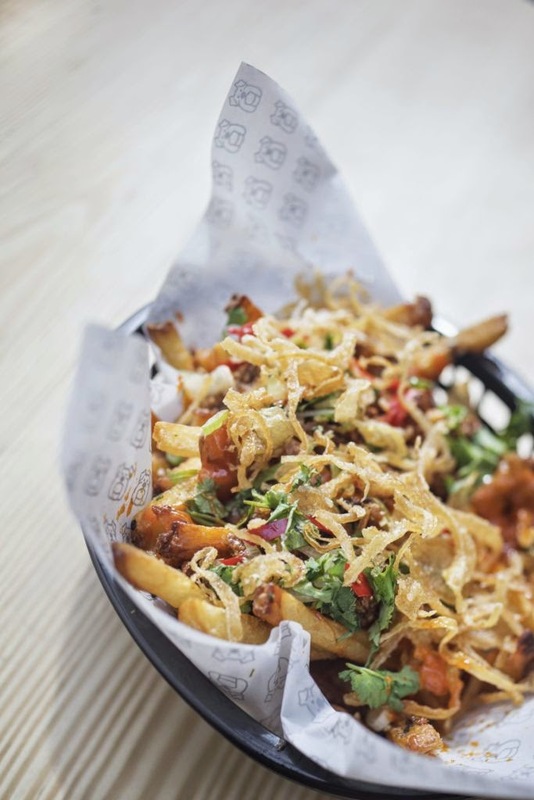 Twice cooked, hand cut potatoes smothered in a gojuchang (the Korean condiment rich with spicy, umami flavor) béarnaise and beef chilli served with crispy shallots, parmesan & sesame seeds. 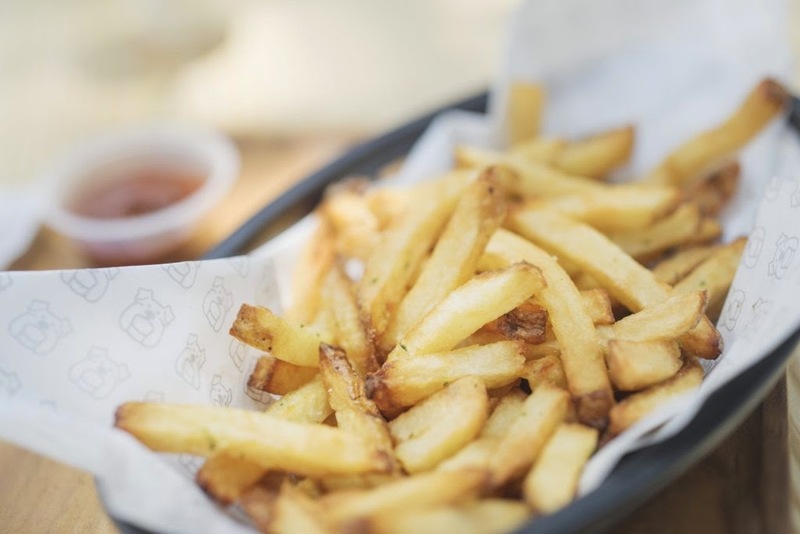 It's a different way to enjoy your french fries, so delicious, the combination of every components here brings the flavour to the top ! SUPER YUM ! NOSTALGIC SODAS AND BOTTLED COCKTAILS! 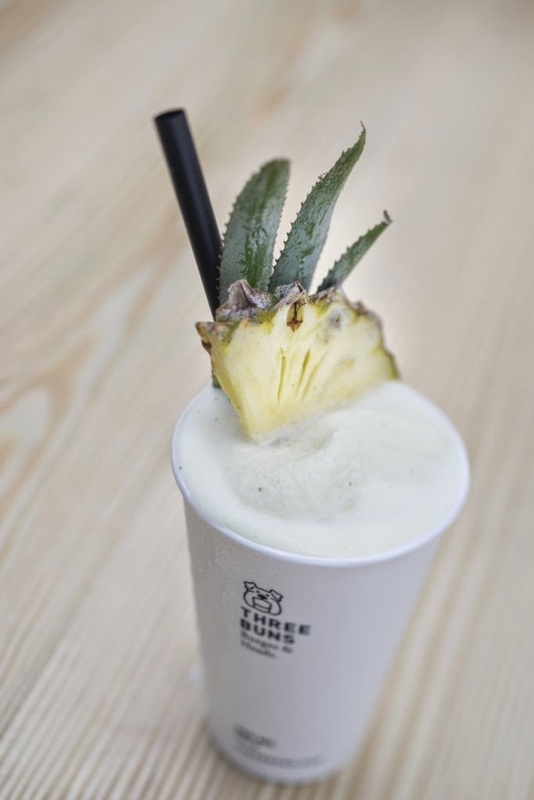 The drinks list at Three Buns has been created by world-renowned mixologist Dre Masso, and reflects the restaurant’s philosophy of simplicity, innovation and quality. House-made natural sodas, craft bottled cocktails as well as frozen coladas, premium spirits and a short wine list will be available. BURGERS and COCKTAILS are a perfect match ! It's a frozen slush ! OMG so fresh ! Contains light and dark rums with Angostura bitters, pineapple, coconut and lime, it's a classic pina colada in slushy way :9 most of drinks here are using alcohol, so if you're an alcoholic, having a burger here was such a paradise. Beside Pina Colada there's also Kriss Kross Colada, which is without any rums. Next, we have Twists section and one of them Citrus Crush. It's a mix between gin with lemon, lime, grapefruit and citrus sherbet. They served in a cute bottles and made daily on the premises. Beside Citrus Crush there's also Tropical Thunder, Very Berry ans Smoked Mary. If you're not an alcoholic, there's JERKS section, homemade sodas made with natural ingredients and no preservatives, so it's a soft drink in more healthy way :p they have Bare Roots Cola, Sherbie Hancock, and Ginger Ninja ! 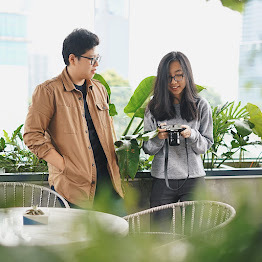 Just come and give it a try :D You'll never forget the taste of Amazing Burgers and of course the happiness you spent here with your lover, friends or family, Enjoy the newest Burger Joint in Senopati area !